37 Commonwealth is located on the north side of Commonwealth, between Berkeley and Clarendon, with 35 Commonwealth to the east and 39 Commonwealth to the west. 37 Commonwealth was designed by architect Nathaniel J. Bradlee and built ca. 1872, one of three contiguous houses built ca. 1872-1873 (35-37-39 Commonwealth) and one of ten contiguous houses (29-31-33-35-37-39-41-43-45-47 Commonwealth) built in the same design between 1863 and 1873. 35-37 Commonwealth were built for Elisha Atkins and his wife, Mary Ellen (Freeman) Atkins. They lived at 37 Commonwealth and sold 35 Commonwealth to dry goods merchant Charles Marsh and his wife, Julia (Barrett) Marsh. The Atkinses previously had lived at 23 Pemberton Square. Elisha Atkins was a ship owner, importer, and sugar refiner, doing business first as E. Atkins & Co. and then as Atkins & Freeman, in partnership with his father-in-law, William F. Freeman. He was one of the first shipping merchants to develop the sugar trade with Cuba, where he had significant land holdings. Elisha Atkins purchased the primary lot for 37 Commonwealth, with a 28 foot frontage, on October 13, 1871, from Miss Mary Pratt. She and her sister, Sarah P. Pratt had purchased it from the Commonwealth of Massachusetts on February 13, 1863 (Sarah P. Pratt died in November of 1866). He purchased an additional lot to the west with a 2 foot frontage on July 1, 1871, from Samuel H. Walley. It was part of a 28 foot lot which had originally been purchased from the Commonwealth by Freeman Allen on October 31, 1860. Samuel Walley sold the remainder of the lot, with a 26 foot frontage, to Isaac Farnsworth for 39 Commonwealth. Click here for an index to the deeds for 37 Commonwealth. On December 1, 1874, Elisha Atkins and Isaac Farnsworth, the owner of 39 Commonwealth, entered into an agreement specifying that the owner of 37 Commonwealth would have the right to have windows in the party wall until such time as they were obstructed or closed up by an addition at 39 Commonwealth. On December 2, 1874, Elisha Atkins transferred 37 Commonwealth into his wife’s name. The Atkinses’ three surviving children — Edwin Farnsworth Atkins, Grace Evelyn Atkins, and Helen Louisa Atkins — lived with them. Edwin Atkins, who was a member of his father’s importing and sugar refining firm, married in October of 1882 to Katharine Wrisley. After their marriage they may have lived briefly at 37 Commonwealth with his parents, but moved soon thereafter to Belmont. Helen Atkins married in October of 1885 to John Rayner Edmands, assistant in charge of time services for the Harvard Observatory. After their marriage, they lived in Cambridge. Grace Atkins married in January of 1887 to William Howell Reed. After their marriage, they lived at 37 Commonwealth with her parents. William Reed was treasurer of the Ashton Valve Company, manufacturers of steam valves. During the Civil War he had served as a member of the U. S. Sanitary Commission, and following the war he wrote two books on the subject. He also wrote a memoir of Elisha Atkins. Elisha Atkins died in December of 1888, and Mary Atkins died in April of 1897. In her will, Mary Atkins had left 37 Commonwealth to their daughter, Grace, and she and her husband continued to live there until 1901, when they moved to 218 Commonwealth. On March 20, 1902, 37 Commonwealth was purchased from Grace Reed by John Martin Graham. He and his wife, Ludovica (Dimon) Morrill Graham, made it their home. They had married in July of 1901, and had lived at 173 Commonwealth the previous season. They also maintained a home in Manchester. Living with them were John Graham’s children by his first marriage, to Sarah H. Tucker (who had died in March of 1893): Caroline Tucker Graham and Edward Howland Graham. Caroline Graham married in October of 1905 to James Winthrop Tewksbury, a broker, and they moved to Needham. Edward Graham, a banker, married in April of 1909 to Gladys Jacquelin Smith, and they moved to 5 Gloucester. John Graham was a banker and served as president of the International Trust Company from 1883 until his retirement in 1914. On May 10, 1915, he transferred 37 Commonwealth into his wife’s name. In 1916, John Graham was sued by International Trust for $200,000 resulting from alleged improper loans and negligence during his management of the company. 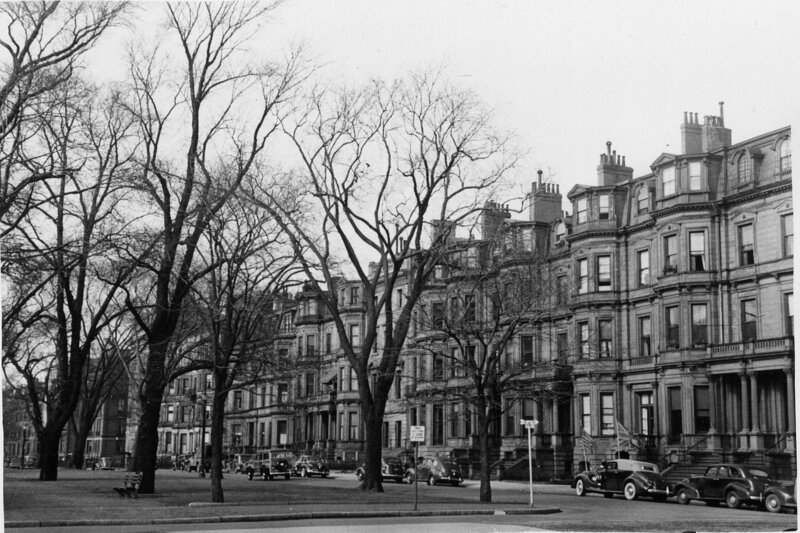 The Grahams continued to live at 37 Commonwealth there during the 1918-1919 winter season, but moved soon thereafter to Manchester. The house was not listed in the 1920 US Census nor in the 1920-1924 Blue Books. On July 3, 1922, 37 Commonwealth was acquired from Ludovica Graham by architect John Tilton McClintock. The property subsequently changed hands and on September 19, 1923, was purchased by Mrs. Lucy Erline Clinton (Hardy) Choate, the former wife of George Warren Choate. She previously had lived at 127 Newbury. In October of 1923, she applied for (and subsequently received) permission to convert the property into a lodging house. By 1925, it also was the clubrooms of the Junior League of Boston. It previously had been located at 240 Boylston. The Junior League remained there in 1928, but by 1929 had moved 6 Commonwealth, where it remained until about 1930, when it moved to a new building at 6 Arlington (0 Marlborough). In about 1928, Lucy Choate converted the property into eight apartments. 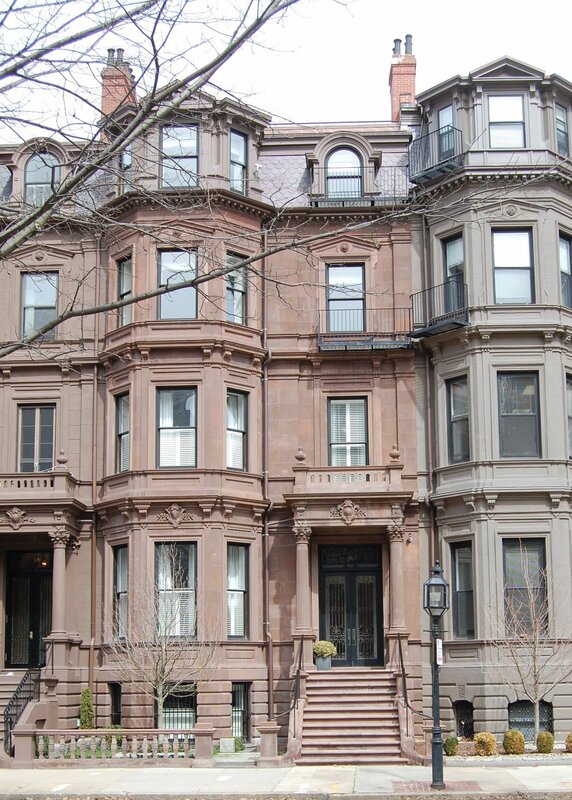 She continued to live there in 1933, but had moved to 16 Exeter (196 Marlborough) by 1934. On August 25, 1933, the Massachusetts Hospital Life Insurance Company foreclosed on Lucy Choate’s mortgage and took possession of 37 Commonwealth. On April 28, 1938, 37 Commonwealth was acquired from the Massachusetts Hospital Life Insurance Company by real estate dealer Ray C. Johnson. The property subsequently changed hands. By the late 1940s, it was managed by attorney and real estate investor Maurice Eli Goldberg, who appears on various permits from 1948 and probably had an ownership interest. He and his wife, Kate D. (Byer) Goldberg, lived in an apartment at 207 Commonwealth. In February of 1949, Maurice Goldberg applied to convert 37 Commonwealth from eight to nine apartments, but subsequently abandoned the permit. On March 9, 1959, he acquired the property as trustee of the Maurice E. Goldberg Charitable and Educational Trust. 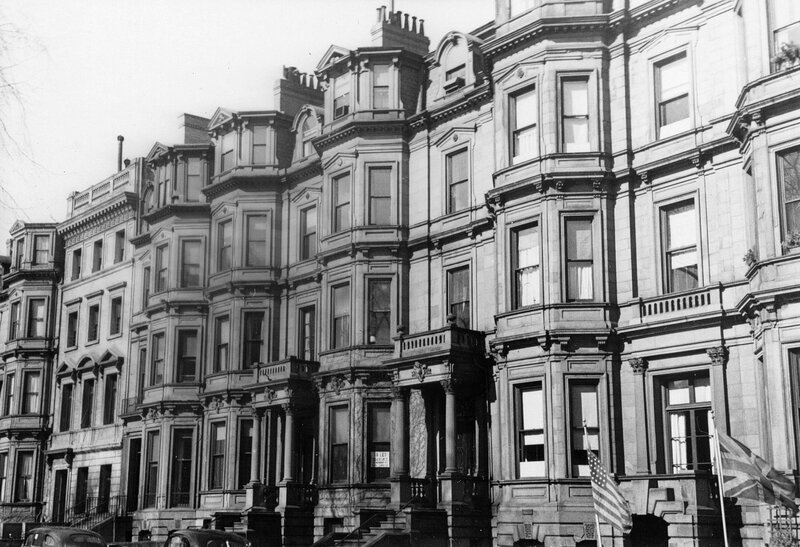 In December of 1966, the trust filed for (and subsequently received) permission to legalize the occupancy as eight apartments, noting that it had been converted into a lodging house in 1923, and that in 1928 it was converted into eight apartments and had remained as such even though the legal status had never been established. On March 20, 1967, 37 Commonwealth was acquired from the Maurice E. Goldberg Charitable and Educational Trust by Theodora Perry and Robert Emmons, Jr., trustees of the Litchfield Trust. The building was damaged by the March 29, 1968, fire that destroyed the First and Second Church at the corner of Marlborough and Berkeley. On November 19, 1968, 37 Commonwealth was acquired from Theodora Perry and Robert Emmons, Jr., by Russell J. Amaral, trustee of the Ramsey Realty Trust. In December of 1968, the Ramsey Realty Trust applied for (and subsequently received) permission to repair the fire damage to the roof and fourth floor and, at the same time, to remodel the house to increase the number of apartments from eight to twelve. 37 Commonwealth changed hands and on April 28, 1977, it was purchased by attorneys Laurence Eric Hardoon and Paul Samson. In September of 1975, they had purchased 39 Commonwealth, and in December of 1977 they purchased 41 Commonwealth. All three buildings remained apartment houses. 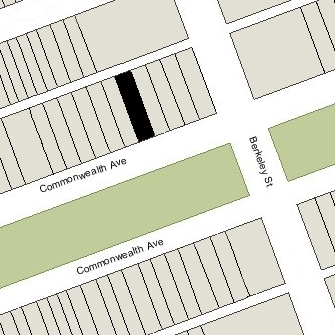 In December of 1986, they sold 41 Commonwealth, and on June 1, 1998, they transferred 37 and 39 Commonwealth to the Commonwealth Avenue Real Estate LLP. On November 4, 2005, 37 Commonwealth was purchased by Joseph R. Jenkins, trustee of the 37 Commonwealth Realty Trust. In December of 2006, he applied for (and subsequently received) permission to convert it back into a single-family dwelling. The conversion was never completed, however, and on June 28, 2010, the property was acquired by Mark Balk. trustee of the 37 Commonwealth Avenue Nominee Trust. 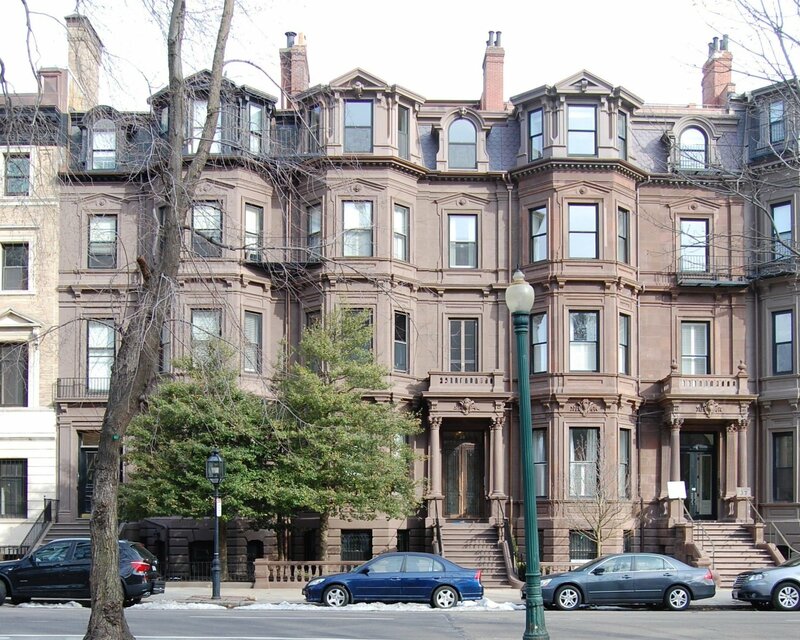 On June 6, 2011, Mark Balk converted 37 Commonwealth into three condominium units, The 37 Commonwealth Avenue Condominium.